Brands usually hire a celebrity or athlete to announce a new product or build overall brand awareness. However, when a small sector of the teen population decided to undertake the viral “Tide Pod Challenge”, Proctor & Gamble moved quickly to employ an endorser to get a message out – and fast. If we weren’t already worried about the development and maturity of some of our youth, here is a frightening example of utter stupidity. If you haven’t heard, this “Tide Pod Challenge” involves young people filming themselves eating tide laundry detergent pods and challenging others to do the same. 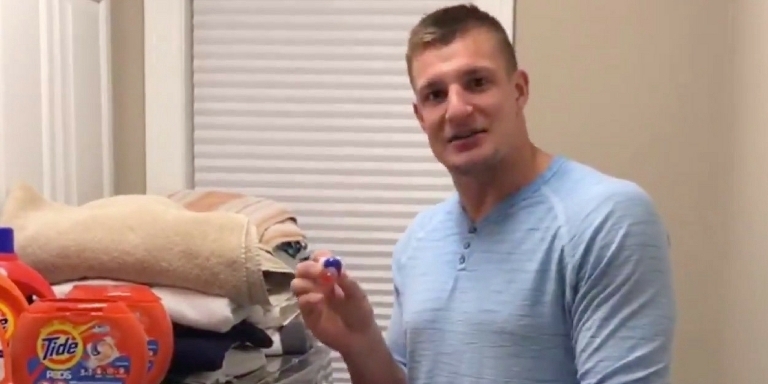 Gronkowski is one of the NFL’s most well-known players and popular brand ambassador, so it’s a good choice to scoop him up for this educational message from P&G. But, how profoundly sad that one is even needed in this case.